Tyne Cot Memorial to the Missing. Tyne Cot is the largest British War Cemetery in the world and was designed by Sir Herbert Baker. 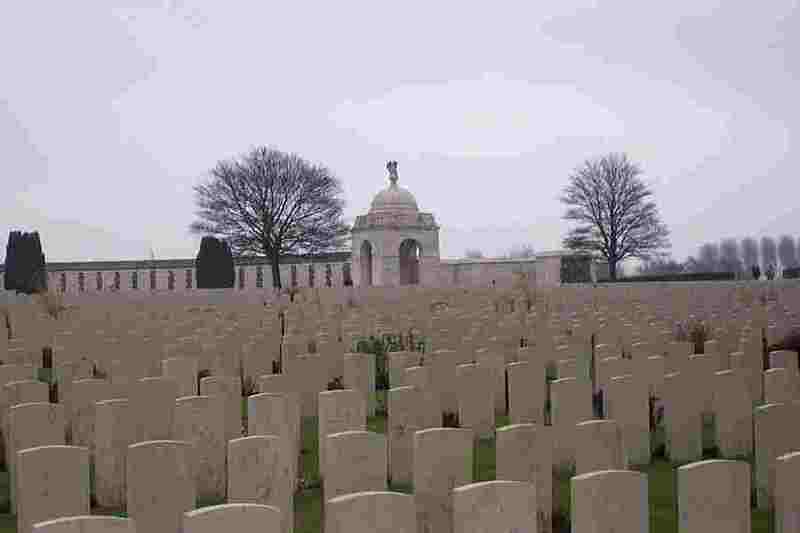 The cemetery lies between Passchendaele and Zonnebekeh and as always is immaculately laid out with areas of graves and a memorial wall that is almost 170m long. The carved and sculptured figures were created by F. V. Blundstone. The cemetery is thought to have been named by the men of the Northumbrian Division who thought the German pillboxes bore a striking resemblance to Tyneside cottages. One large and four smaller of these pillboxes can still be seen within the grounds of the cemetery. 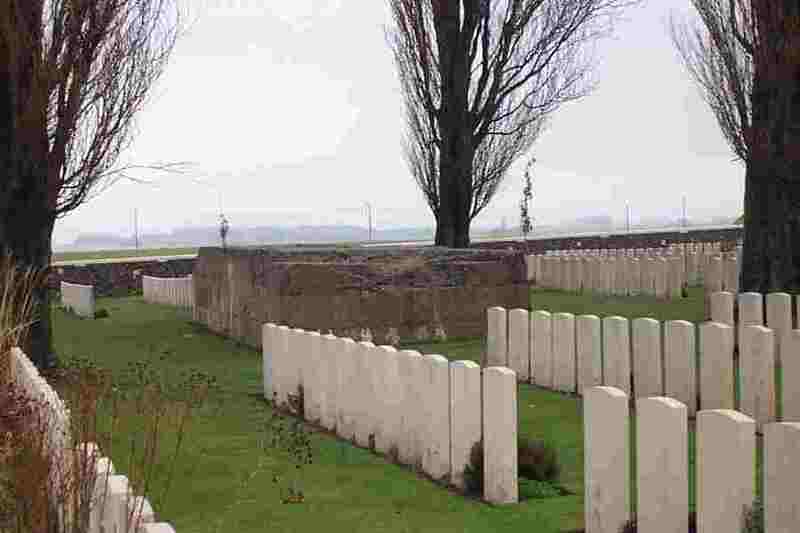 After the war the bodies of men that had died in the Passchendaele area were brought from the surrounding battlefields and buried in the cemetery. The cemetery incorporates several German concrete pill boxes like the one shown on the left which have been left as part of this memorial. There are many HCB men buried or commemorated within the walls of the cemetery. The monument has two mourning angels kneeing on the top of the dome structures at each end of the long memorial wall. 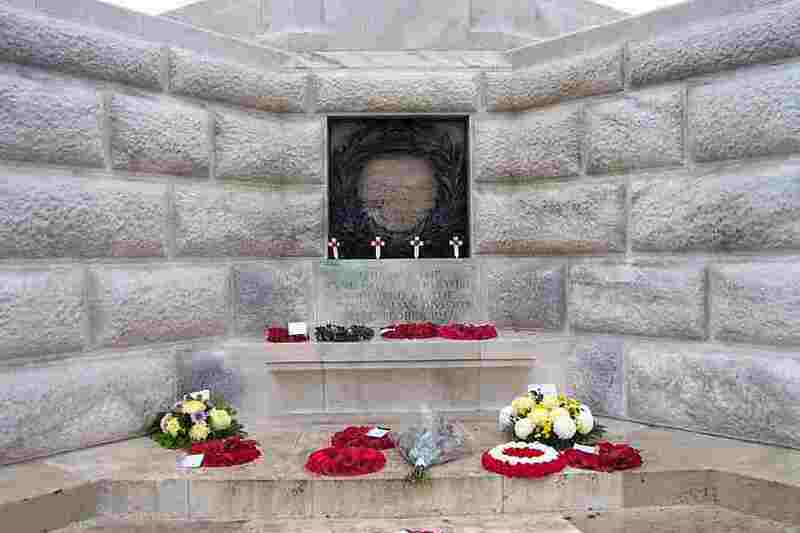 The Tyne Cot Memorial to the Missing is situated about 9 km north east of Ypres, on Tynecotstraat, road leading from the N332 to the village of Broodseinde. It is now an area of mostly agriculture and one of the most visited memorial sites in the area.